This is the film that came before Girls, the recent TV success, written and directed by Lena Dunham. Aura (Lena Dunham) has just finished college and returned home to New York. Her mother, Siri (Laurie Simmons) and sister Nadine (Grace Dunham) have their life sorted; Siri is an artist and Nadine is a poet/high school student. Aura doesn’t know what she wants to do. She faffs around with her friends, meeting boys and doing not an awful lot. 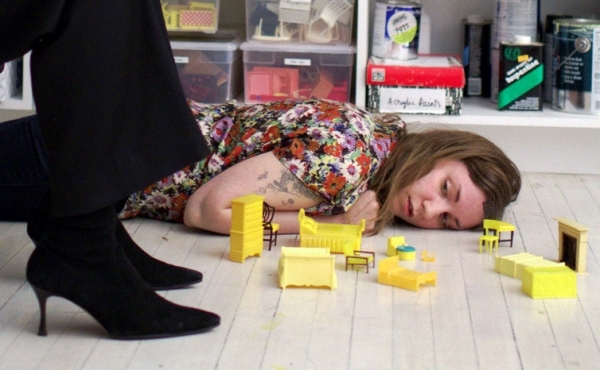 Having seen the first two seasons of Girls, it’s very interesting to watch Tiny Furniture. It’s like Dunham has tweaked several things to make it work better for a series, changing her parents, her interests and, kind of, her friends. It’s good, but I’m glad it went further; the show is better.